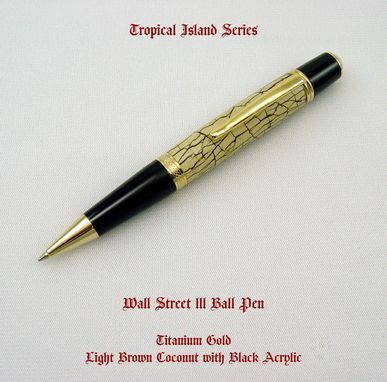 The body of this beautiful pen is made from genuine coconut (Inner Shell) inlay covered by a transparent layer of acrylic. It is 9/16" dia. x 5 1/4" long and fits very nicely into the hand. It is certainly an eye-catcher and will be admired by all who see it. A "Parker" type refill is fitted and allows for easy free flow writing. Replacement refills are stocked by all office supplies stores. 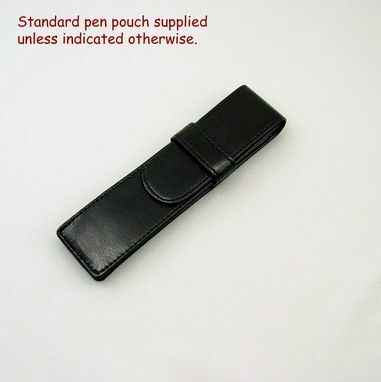 An attractive black pouch is supplied with each pen.